Are you tapping the power of open online networks to fuel your personal learning network? 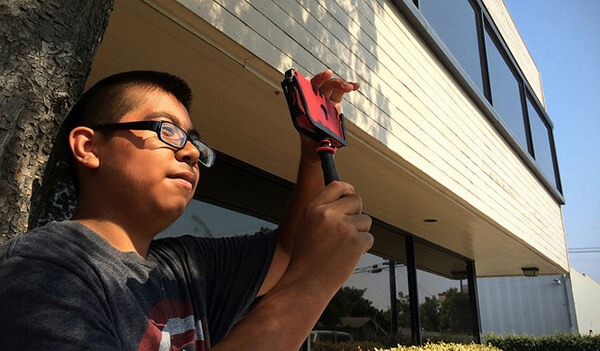 Have you connected with educators, designers, and researchers who are grappling with how to teach and embody connected learning in their work? The Connected Courses for Educators page offers a curated collection of open courses, resources and exemplars for designing and researching for connected learning. 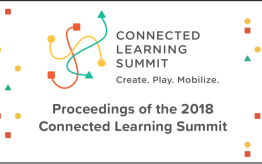 The page features courses designed by leading connected learning educators and researchers the both explore and embody the principles of connected learning. In 2013, the Reclaim Open Learning initiative explored the intersections between higher education, open learning, and the connected learning model in the midst of MOOC mania. The initiative highlighted pioneering faculty who were teaching on the open web, and paved the way for the design of new connected courses for and by connected educators. Leading researchers in the connected learning community have designed open online courses for studying and evaluating connected learning. Check out a collaboratively taught course on Design-Based Research, Bill Penuel’s course on program evaluation for connected learning, and Professional Pathways, a set of resources for professional development for emerging connected learning scholars. Connected educators teaching on the open web have created connected courses the embody the principles of connected learning. For example, ds106, is a digital storytelling course that started in 2011 at the University of Mary Washington, developed into a community of learners around the globe. We feature more inspiring examples on subjects including English, Anthropology, and photography. 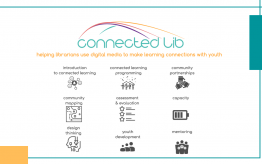 The Connected Courses page also includes links to videos and a reading list designed to help you research and develop your own open learning resources. The videos cover a wide range of topics, including teaching Wikipedia editing, how to build inclusive learning collectives, and an engaging discussion between education innovators and digital media experts about web literacy and the possibilities of the open web. Explore the resources provided on the Connected Courses page to learn more about courses that are taking full advantage of the internet’s potential to connect and engage learners everywhere. New resources will be added to the page on an ongoing basis so check back for updates. And let us know if you have something to add!